Lionel Messi’s official Instagram account is now following Chelsea FC’s official Instagram account. This is somehow both important news and evidence of something. 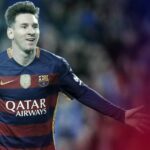 Since everyone remembers when Messi followed Manchester City on Instagram in March of last year and then immediately joined the club and won 17 trophies with them, including the World Series of Rugby, before returning to Barcelona and pretending it never happened. Obviously, there are a number of perfectly reasonable explanations for Messi’s sudden interest in Chelsea’s official social media presence. These are a few. -He accidentally hit the “follow” button while checking out their pictures and once it became a big deal, he thought it would be too mean to unfollow right away. -Xavi asked him to track the account for signs of Cesc Fabregas’ suffering. -He wants to keep abreast of how John Terry performs against Messi sized opponents. -He doesn’t actually control his Instagram account at all and the person who does was feeling bored, so they decided to follow Chelsea and a few of their players to make it look like paying someone to run a social media account full time is a worthwhile expense. -He did it just to see if the media is collectively terrible enough to suggest that it’s a sign of his desire to leave Barcelona and use it to both stoke and highlight fan overreaction. -He’s trying some sort of follow back scheme in a desperate attempt to surpass Cristiano Ronaldo’s 10.4 million Instagram followers (Messi has 8.7 million). -His two-year-old son Thiago did it thinking he was purchasing the Frozen soundtrack on iTunes.